Subhi karim a.k.a abg berx is doing a promo for outdoor photoshoot. ONLY for RM500 je!!! !Booking period anytime and shooting period start from now till Feb 28 2011. 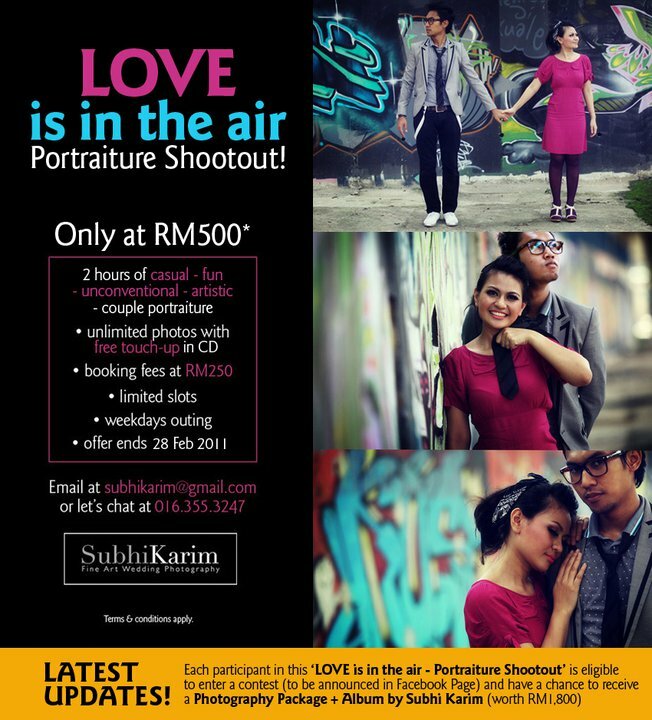 This is more like a two hours of fun shoot with some romantic touch.Menarik kan! !tapi tak bleh laa lebih-lebih touch .haha. Gorgeous couple out there, wanna freeze your day-out moment? ootout session from now until 28 February 2011. Photography Package + Album by Subhi Karim. 7. RM250 for confirmation fees.